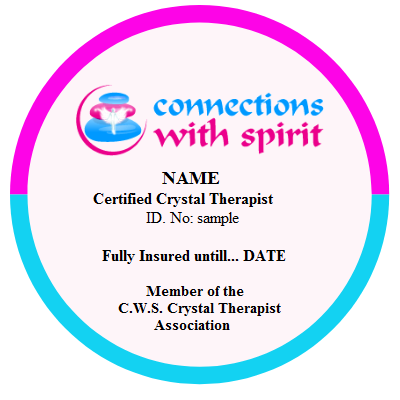 A warm welcome to Connections With Spirit Therapist Association. 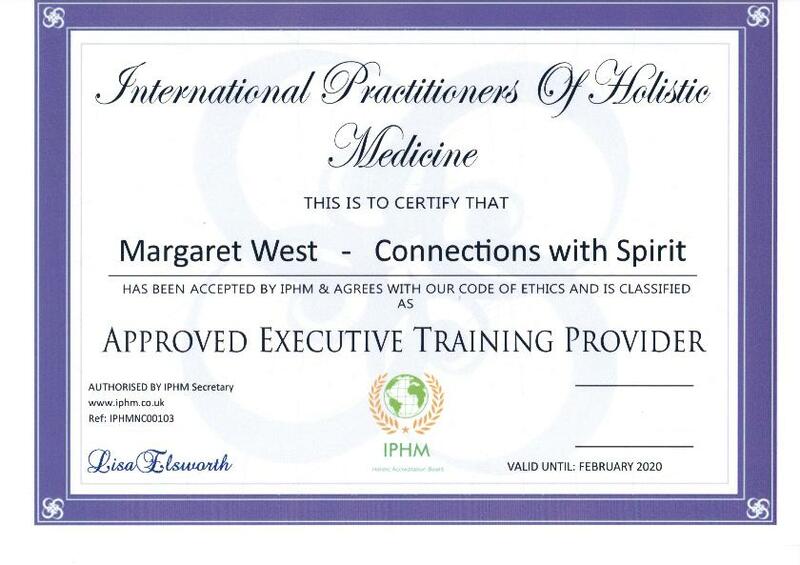 We are a U.K. Kent based Complementary Health Practice who are also certified by the International Practitioners of Holistic Medicine to deliver different courses to the public. After deep consideration, we at Connections with Spirit, decided that therapists in certain areas of expertise really need more support and credibility with their work. Also should clients wish to check up on them to see if they are insured, trained professionals, where do they go to check? They come to us. The Teaching School where they received their qualification. We are offering all of our certified students a digital badge for their websites with their own personal ID number. This verifies their training, authenticity, ethical standing and personal responsibility to the public. Therapists who join us will be listed on our well established website, which has a very good public traffic volume, with the areas they cover and their contact details. They will also be listed every month in our newsletter, Instagram and twitter posts. We have set up a Facebook group where all the members can chat, talk business and help each other. We can provide these certified badges card readers who have not trained with us, but only if they meet our strict criteria. Please contact us for more information. We ask that you contribute to a subscription of £40.00 per year, for this service, a percentage of which goes to the dog rescues which we support. We would prefer a bank transfer for this payment and we will send you a receipt for your accounts. We strongly advise you to set up a yearly standing order, just in case you forget to renew your subscriptions and loose your badge. If you cannot keep up with your subscription payments, please do let us know and we can either freeze your badge until you can resume paying, or we can cancel your badge and ID number, and removed your listing from the website. We at Connections with Spirit are honoured that you have chosen us to represent your ethical readers practice, and we welcome you with love, light and open hearts. We retain the right to revoke your badge if we have credible evidence that a reader is failing in their duty to provide good, honest readings with helpful guidance and personal responsibility. Also, if we receive a verifiable complaint that we consider impacts on us, our ethics and our members, as an Association, we will cancel your membership and badge number forthwith. Janet Covers St Mary’s Bay with 20 mile radius, in Kent . Covers Tenterden, Kent. And surrounding areas.